Syrian President Bashar al-Assad has paid an official visit to the Russian city of Sochi. During the official meeting, Russian President Vladimir Putin congratulated him on the great success in the fight against terrorists, Kremlin Spokesman Dmitry Peskov said on Thursday. The two presidents have noted necessity of creating additional conditions for a full-format political process in Syria, Peskov said. "Quite comprehensive negotiations have taken palace. [The Russian] president noted and congratulated Assad on the considerable success of the government forces in the fight against terrorist groups. [The two parties] have noted the necessity to create additional conditions for the resumption of full-format political process in Syria," Kremlin Spokesman Dmitry Peskov said. 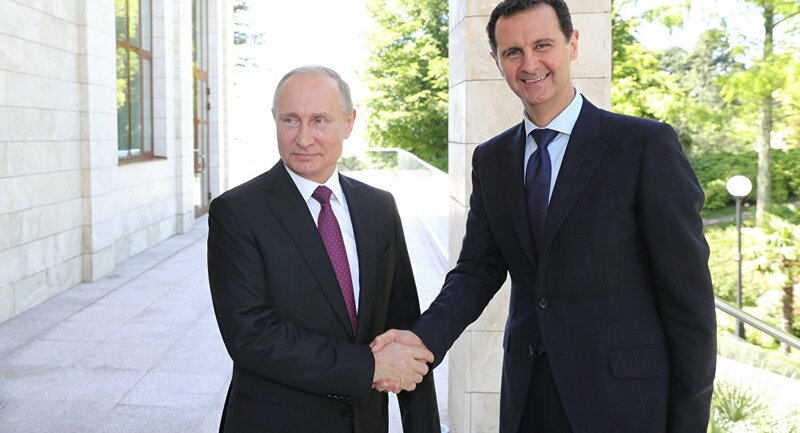 While on a visit to Sochi Bashar Assad told the Russian president during the meeting that stability in Syria is improving and this is opening the door for the political process. "We always support it with enthusiasm," the Syrian president said. 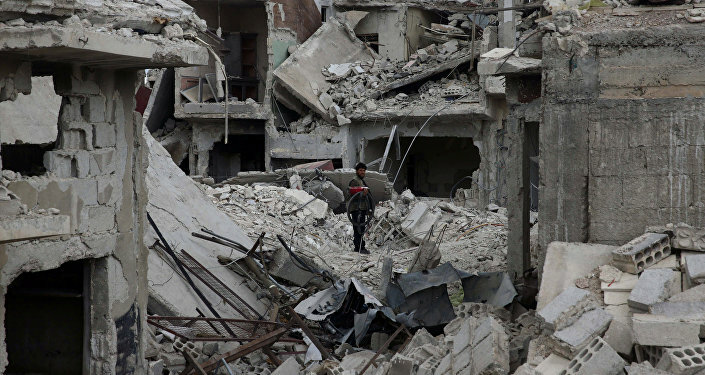 However, it will be difficult to restore the political process in Syria as there are countries that don't want stability in the country, he added. "The sides noted the successes of the Astana process and of the Syrian National Dialogue Congress, held in Sochi… During these talks, the sides disused the next joint steps. Assad said that stability in Syria is improving, and this opens the door to the political process that started some time ago. According to him, he has repeatedly said at these talks that Damascus has always enthusiastically supported the political process, which should go along with the fight against terrorism," Assad said at the meeting. "We know that this will not be easy [to restore the political process], since there are countries that do not want stability to return to Syria. However, together with you and the other partners and friends, we will continue to move steadily toward the peace process and for the sake of peace," Assad added. Assad also voiced his decision to send representatives to the UN Constitutional Committee. "Today I confirmed to President [Vladimir] Putin that Syria will send a list of its delegates to the constitutional committee to discuss amendments to the current constitution. This will be done as soon as possible," Assad said in a statement following Russian-Syrian talks. Vladimir Putin said that Russia welcomes and will support the Syrian president's decision to send his representatives to the UN constitutional committee. "Russia welcomes this decision by the Syrian president and will support it in every possible way, bearing in mind the agreements reached at the Syrian people's congress held a few months ago in Sochi," Putin said at a meeting with Assad. Vladimir Putin also congratulated the Syrian president on the victory in fighting against terrorism in Syria. "After the military success in Syria, additional conditions to resume a full-format political process have been created," Putin said. "Terrorists have laid down their arms at Syria's key sites, which allows to rehabilitate Syrian infrastructure, push [terrorists] back, almost halt their activities near the Syrian capital," Putin said. President Putin also said that he coordinated with Assad joint actions to fight terrorism in Syria.